I’ve already shown you the update I’ve made to my bedroom, but I’m not stopping there!! There is so much work left to be done! 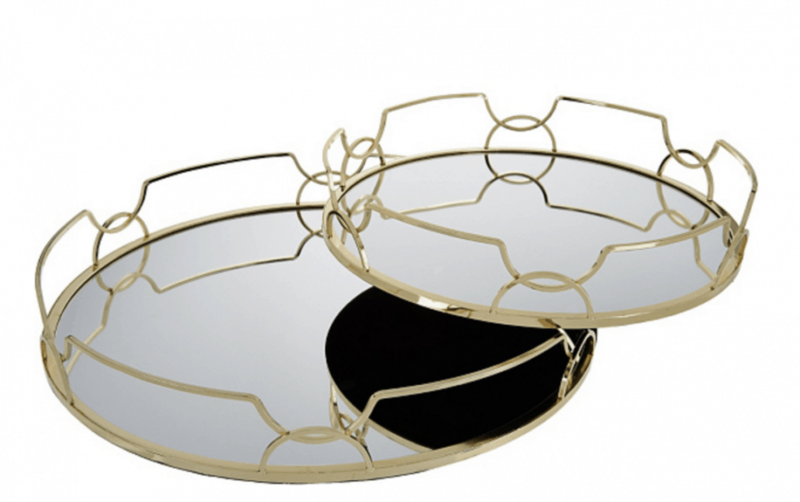 I just picked up these mirrored trays from QVC. They come in both silver and gold. I opted for silver – even though my heart of hearts wanted them in gold. My bedroom has more of a wintery feel and the gold just didn’t work. I will leave that color scheme to my office. My plan for these mirrored trays is to place them on my bedroom end tables and top them with ornate and eclectic pieces I pick up during my travels. You know… my travels to Target, IKEA, Home Goods and TJX. LOL! I wanted to sound a little worldy there for a minute. Just let me be. The price is right, too. Retailing under $50 for both, you can’t go wrong. I cannot WAIT for my bedroom to be done. While I am enjoying the decorating process, I really just want to be able to relax in my space and use it for what it’s intended for… not spend my time worrying about every last nook and cranny. Hopefully, by next week, this project will be over. Actually, we have to put together a HUGE IKEA piece… so that’s not likely. But … a girl can DREAM!